One of my favorite things about my apparently yearly excursions to a remote trout stream is how breathtakingly dry, barren and desolate it is. On the way out I had a good chuckle thinking that we were chasing up pronghorn antelope, jackrabbits, rattlesnakes and scorpions in search of trout. The Owyhee Canyonlands, for anyone who cares to google it, is one of the most remote areas in the lower 48 states. 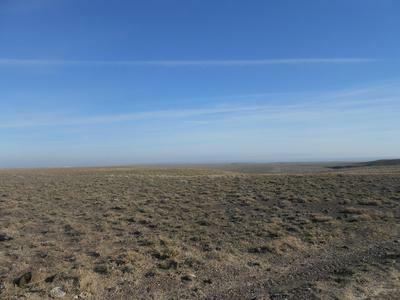 The only thing to break up the massive sagebrush and grass steppes are deep canyons cut in the basalt and rhyolite flows that once covered this part of the country. The Bruneau and Owyhee rivers are some of the biggest, but we were aiming for a small canyon because at the base it's siphoned off for irrigation before it can reach the Snake River and the invasive species in it. 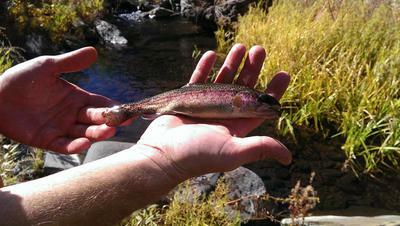 They're genetically pure redband trout, not crossbred with rainbows or cutthroats. The reward is, I think, unsurpassed beauty and all the little trout you care to catch. 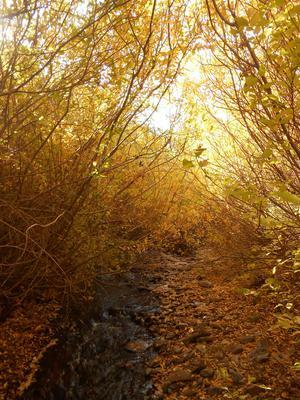 To me, it's exactly what Tenkara is all about ~ distant places with tiny, wild trout. I packed my Soyokaze 31 and Kiyose, as well as a few lines and flies and we wet waded in early November. Despite how dry everything around it is, the canyon is actually chock-full of vegetation, as can be seen by one of the photos. For most of the stream's length, it's totally unfishable due to these willows, poison ivy and wild roses. 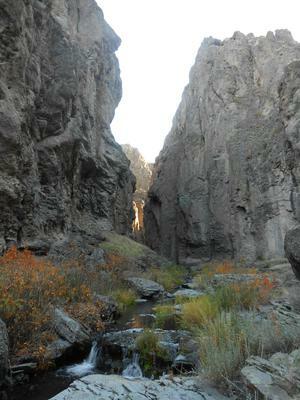 There are a few stretches in the canyon, however where it's narrow enough that little to no plant life can take hold. These 1-2 mile sections of canyon require some climbing to get to, but the fast and furious action is worth the risk. The stream looks like it should't hold more than crayfish and mosquitoes, but the tiny spring fed creek is always teeming with life. Our "backpacking" trip only lasted a couple of miles, although with the climbing and bushwacking it seemed like ten times that, but it was wonderful to get out for one last trip before the snow flies.